UPR's Extreme firewall adjuster is the most economical and best engineered firewall adjuster ever devised for your 1979-2004 Ford Mustang. Featuring a Locking Set screw design built in to in the adjuster and a Locking nut to give you the choice of locking methods. Extended range of adjustment and larger firewall backing plate to eliminate firewall flex and premature cable wear. Three mounting hole capacity for the ultimate in strength. 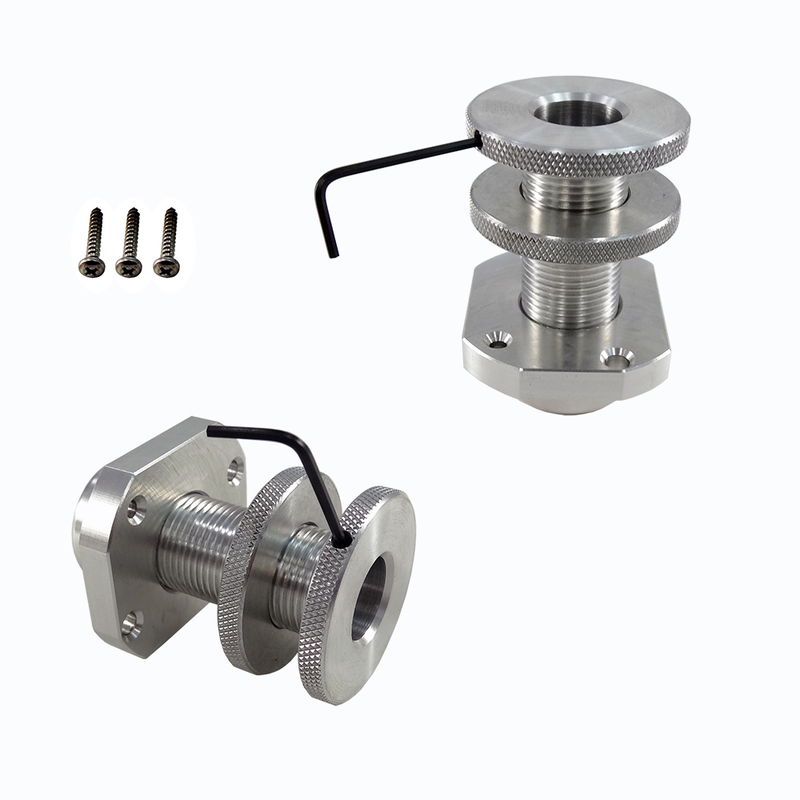 CNC Machined from 6061 Billet Aluminum with an extra thick base for additional firewall support and two different ways to lock in your setting.